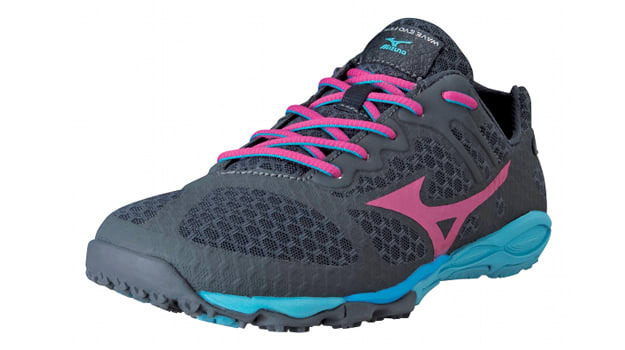 Mizuno has seen early success with its Evo running sneaker series, which began with the launch of the Evo Levitas just last month. And it looks like the brand isn’t holding anything back in 2013 with the release of the latest edition to the zero drop sneaker line, the Wave Evo Ferus, set for this summer. Sporting a low profile design similar to the Levitas, the Ferus features printed, seamless overlays over on the upper that reduce weight drastically, yet are durable enough to withstand heavy mileage. Unlike the Levitas, which has a more road-friendly outsole, the Ferus’ Active-X outsole has an aggressive lug pattern suited for all-terrain use. Expect the Wave Evo Ferus to hit retailers in July. The suggested retail price for the shoe comes in at $110.